When most people think of Epcot, usually the first event that comes to mind is ever-popular International Food and Wine Festival. Fair enough, but did you know there are just about the same, if not MORE, food and drink kiosks available at Epcot’s International Flower and Garden Festival, with the additional bonus of viewing beautiful topiaries of your favorite characters throughout the World Showcase? You can do all of this and more at Walt Disney World Resort’s Epcot anytime between March 1, 2017 and May 29, 2017!Where else in the world can you tour various countries on the globe, be surrounded by thousands of butterflies in their natural habitat, view more than 70 original Disney topiaries, or snack on a large variety of food and drink (non-alcoholic or alcoholic) offerings at the Outdoor Kitchens of the World Showcase? There is no other place than Epcot! Just want to leisurely stroll through the World Showcase? Let your eyes feast on the gardening interpretation of your favorite Disney character! Don’t know where your favorite character will be located? Now’s the time to brush up on your Disney pop culture, because your character will be located in the area in which their story takes place! Are Belle and her friends at the Beast’s castle your all-time fave? “After all, Miss, this is France!” Are you a self-proclaimed foodie? Partake in the vast array of fresh food and drink options at each of the Outdoor Kitchens! Like the International Food and Wine Festival, there will be Outdoor Kitchens with delicious snack plates at each of the Epcot World Showcase pavilions. Does Mexican food hold the key to your heart (as it does for me, haha)? Order some Tacos de Camerón (tempura shrimp served with hibiscus flower, caramelized onions and habanero sauce) and a Rose Margarita at the Jardin de Fiestas booth before you venture inside to ride Gran Fiesta Tour and party with the Three Caballeros! This is just a tiny example of what is to offer for all your mouth and belly needs at the International Flower and Garden Festival! Like to rock out while eating great food? The Garden Rocks™ Outdoor Concert Series located across from the America pavilion will have your foot tapping to some great tunes from past to present! Dining packages and reservations are available for those who like to be right at center stage! These concerts will take place each Friday through Monday while the Festival is going on. Want to make this an educational trip for yourself and your family? You can learn even more with special events and tours (additional pricing may apply) by participating in the Gardens of the World or Behind the Seeds guided tours! 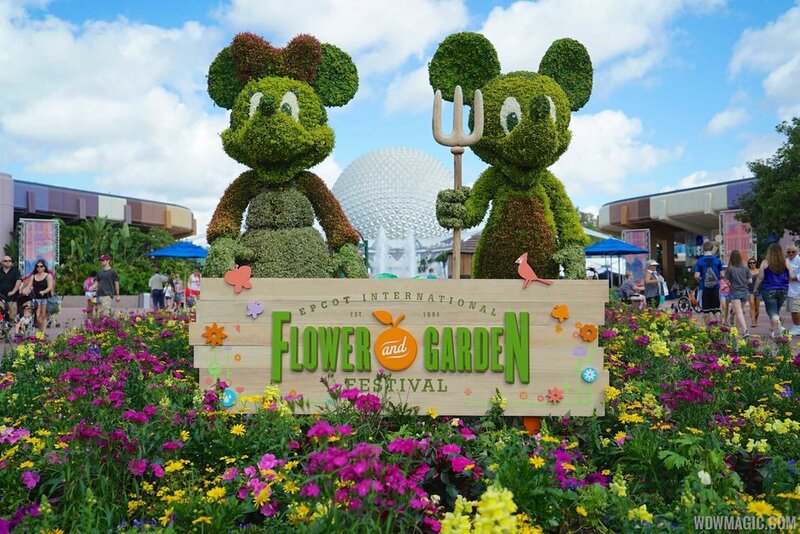 What is stopping you from enjoying Epcot’s International Flower and Garden Festival? All of this and more is available with valid park admission to Epcot; no special event ticket required! Contact your As You Wish Disney Vacation Specialist today for your FREE, no-obligation quote to get the best deal out there, without the stress of planning the vacation yourself!